Tow Truck Insurance Detroit Michigan- Quotes 7 Days Per Week! Call Pathway Insurance when you’re looking for great rates for Tow Truck Insurance in Detroit Michigan and the surrounding areas. Pathway insurance is a leading independent agency offering Tow Truck Insurance in Michigan, Indiana, Ohio, Kentucky, Minnesota, Maryland, Tennessee, Georgia and Florida. Call 1-800-998-0662 or click on Tow Truck Insurance Detroit Mi. 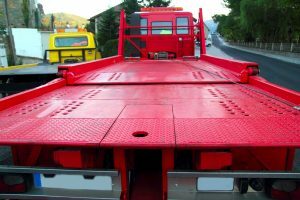 Michigan Tow Truck Insurance – Don’t Forget This Important Coverage. Garagekeepers Insurance coverage is an important option that is not included on the Michigan Commercial Auto Insurance Policy. Garagekeepers Insurance coverage is an endorsement or extra coverage form that must be added to your overall commercial insurance protection for coverage to apply. Who might want this important protection? Michigan Garagekeepers Insurance coverage extends coverage to the business for many types of perils. Tow Truck Insurance Detroit Michigan – What Is Covered by Michigan Garage Keepers Insurance? (b) The “customer’s auto’s” overturn. You need to purchase one or the other when you purchase Michigan Garage Keepers Insurance, you do not get both. It’s super important to understand what is covered by your policy as you’re shopping for Tow Truck Insurance in Detroit Michigan. Detroit Michigan Tow Truck Insurance – Call Us Today for Quotes and Same Day Coverage. As a leading independent agency in Michigan offering great rates for Towing service companies and Garages we can help you find the commercial truck insurance you need for your business. Call 1-800-998-0662 Monday through Friday 9 AM to 5:30 PM or to receive quotes seven days per week click on Tow Truck Insurance Quotes Michigan. Our online agents are available 7 days per week – Get a quote right now!